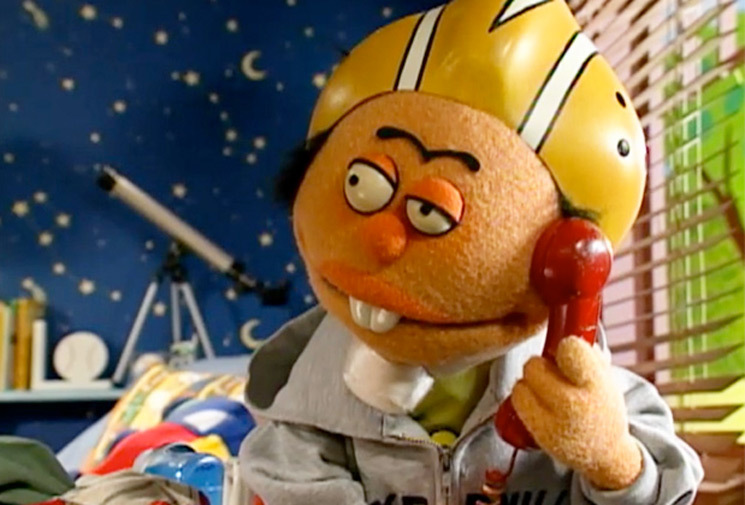 "At this time, I would like to ask all Americans to disable their caller ID"
If you've been missing "the world's favourite profane puppets," you're in luck — Crank Yankers is getting rebooted by Comedy Central. The network made the announcement late Monday (February 11), revealing that the long-gone show will return for a 20-episode revival series. For the unfamiliar, Crank Yankers was created by Jimmy Kimmel alongside Adam Carolla, Daniel Kellison and Jonathan Kimmel. Running from 2002 to 2007, it featured the likes of Tracy Morgan, Sarah Silverman, Wanda Sykes, Kevin Nealon, Biz Markie, Adam Carolla and Jimmy Kimmel, with the cast voicing a series of potty-mouthed puppets as they terrorized America with prank calls. According to Comedy Central, the new Crank Yankers will be "updated for a digitally driven audience. [The puppets will be] pranking on phones, social media, e-sport platforms and any venue where trouble can be made." The revival will be the first project under Kimmel's own production banner Kimmelot. His brother Jonathan Kimmel will again serve as showrunner, executive-producing alongside Carolla, Kimmel and Daniel Kellison. "Crank Yankers has always been my favourite show to make," said Jimmy Kimmel in a statement. "Nothing is more fun or makes me laugh harder than a great crank call and I am thrilled that Comedy Central asked us to do it again. At this time, I would like to ask all Americans to disable their caller ID. Thank you."